Here is another manicure with a trendy cuticle design. 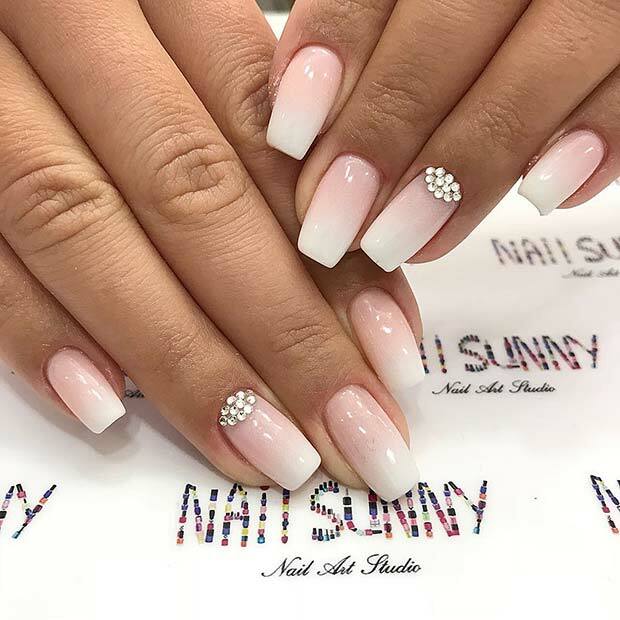 The nails have been painted in a light color with gems around the cuticle. 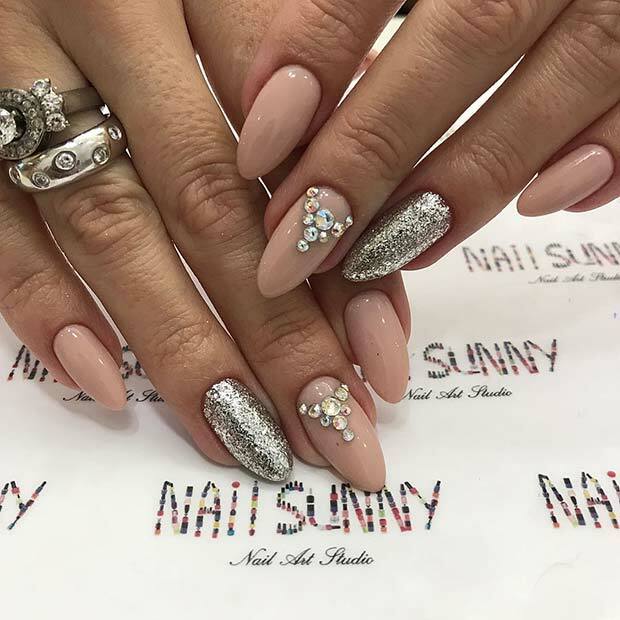 These nails are glamorous and will suit any prom look. 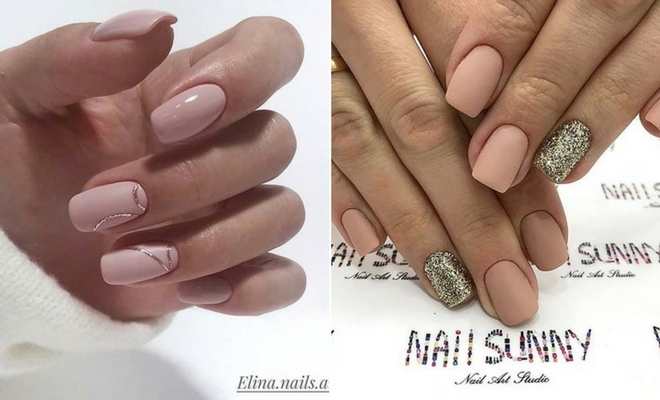 You could recreate a similar look with any color polish on your nails. Black is a chic color so why not add it to your nails? 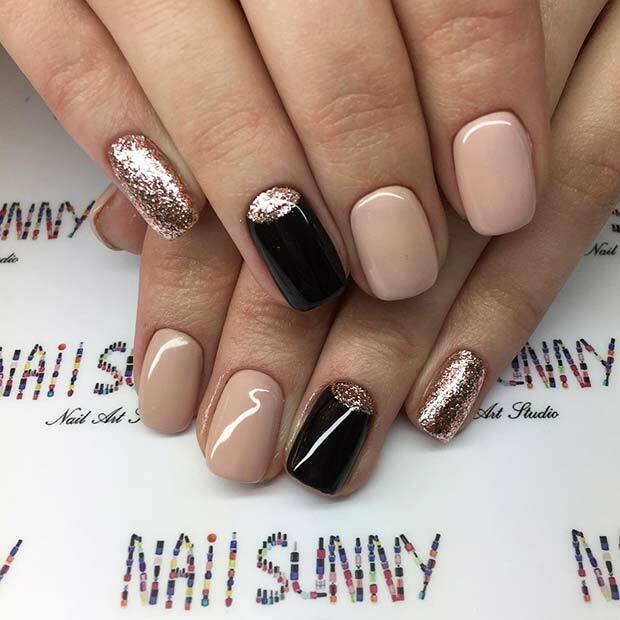 This nail idea features light nails with a rose gold glitter accent nail and black accent nail. All the colors and styles complement each other beautifully. A manicure like this would be a stylish choice for anyone. 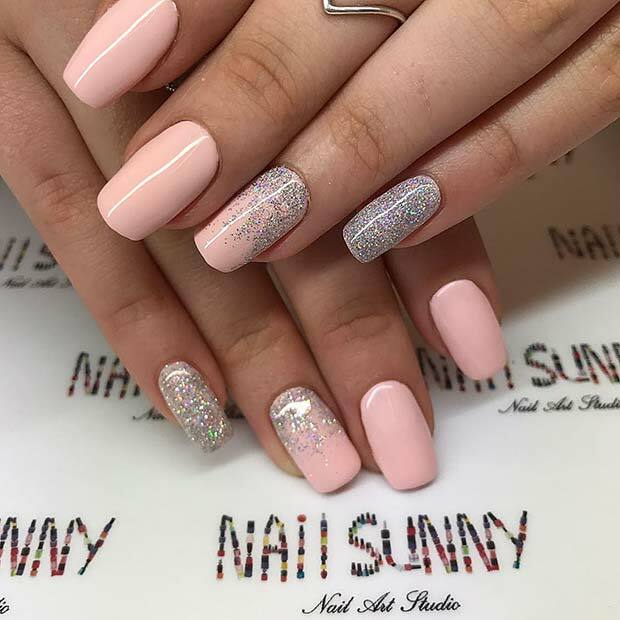 Look pretty in pink for prom with nails like these! The nails have been painted in a very light pink with two shimmer accent nails. You could recreate a similar look and just choose one of the accent designs. Maybe try other colors to. Nail art like this will suit all nail lengths. If you want to make a statement with your manicure, then this is the way to do it. 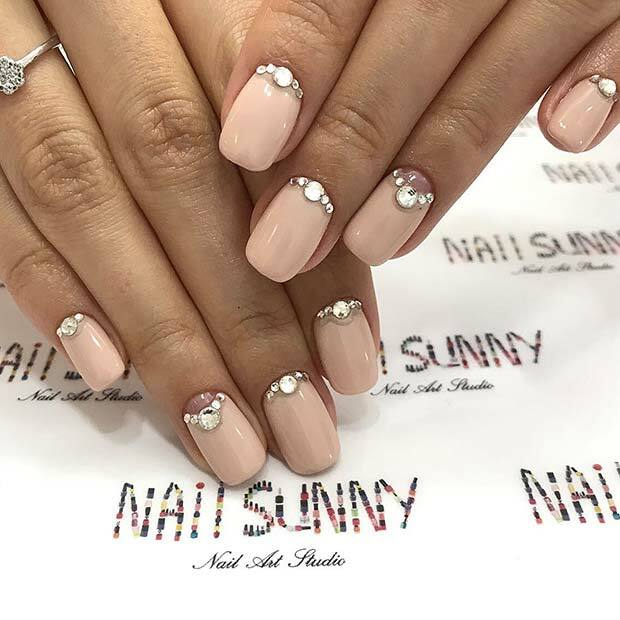 There are multiple designs that are very stylish resulting in a trendy manicure. The nails have marbling, glitter, gems and more. For your nails you could just use one of the designs or maybe two. You can also experiment with different colors. You don’t have to go all out, you could go for a subtle design like this one. 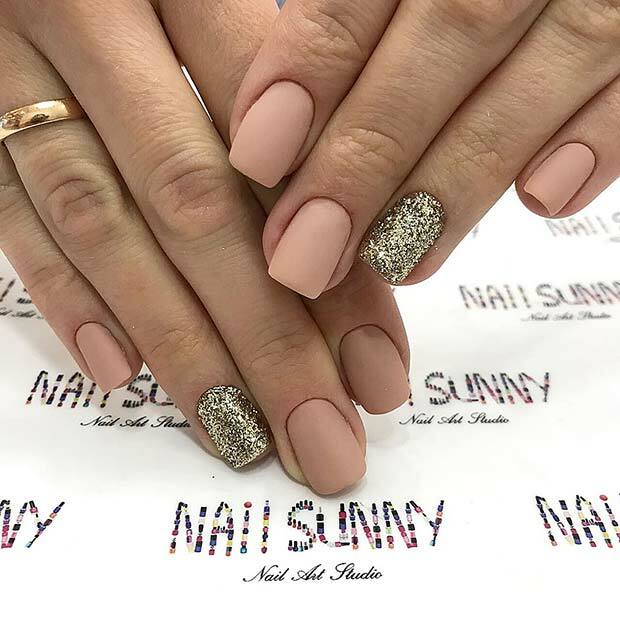 The nails are painted in a neutral shade with a gold glitter accent nail. By using a light tone, you are creating a more natural look, the glitter is perfect for the special occasion. You could also use rose gold or silver glitter. Sparkling gems are perfect for a prom manicure. You can create so many beautiful designs with crystals. 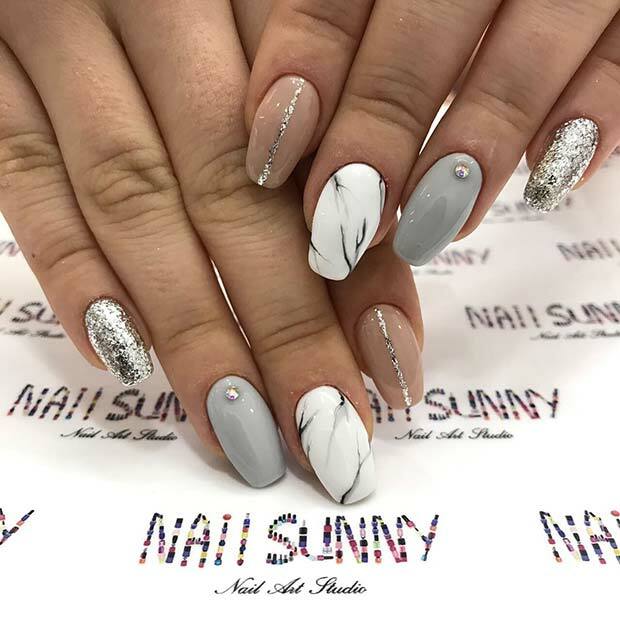 These next nails have a gorgeous accent nail with a unique gem design. You can experiment with gems and create some many amazing looks. This is a great example of using sparkles on your nails. Our next idea is for the ladies who love a French manicure. This French manicure has got a design twist that is perfect for the prom. Instead of the classic white tips the nails have rose gold glitter tips. By using glitter, you are giving the classic manicure a makeover. You could use any glitter color, silver or gold would be beautiful to. Next, we have a pink and glitter idea. The nails have been painted with a very light pink, but one nail is covered in silver glitter and one has a sprinkle of glitter. 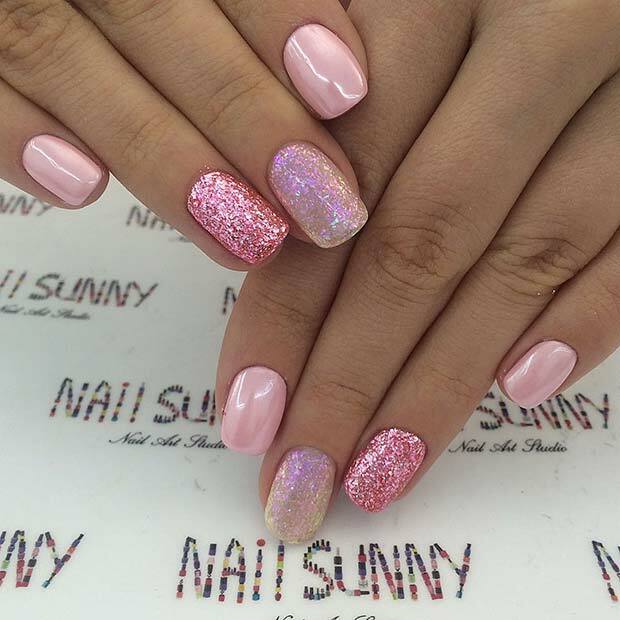 We love this look because it is pretty, and the glitter gives it some sparkle. 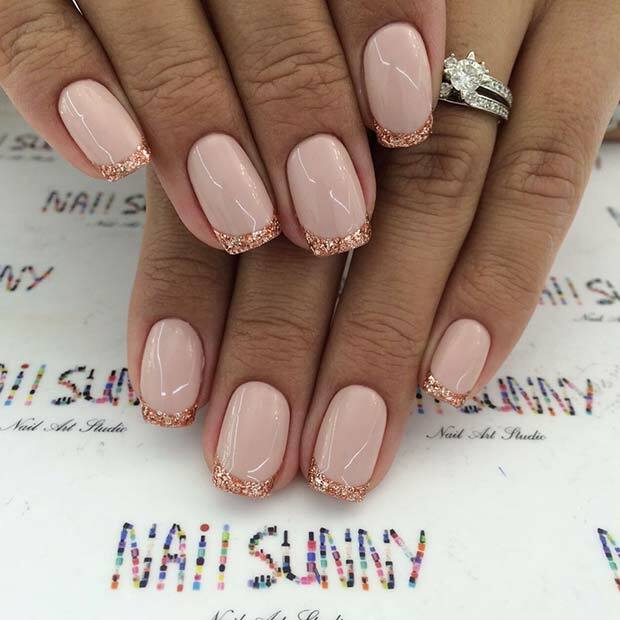 A design like this will suit all nail lengths. If you like the marbled nails, then this next idea is for you. 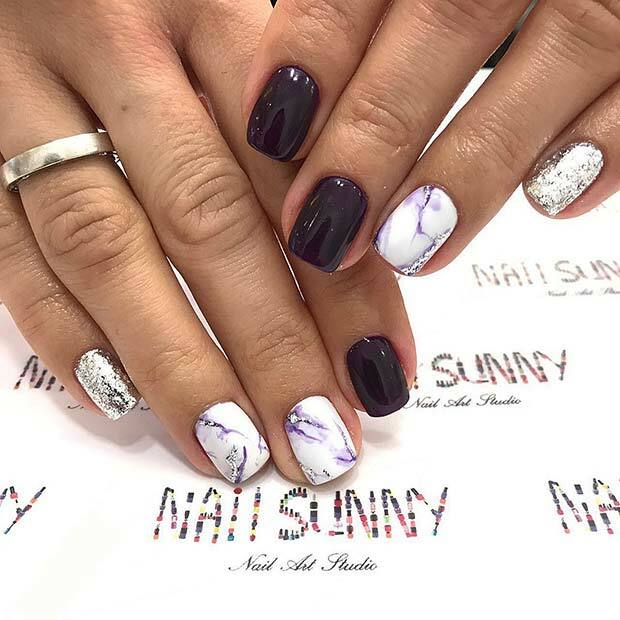 The nails feature a funky white and purple marble effect. The other nails are painted dark purple with a silver glitter accent nail. To recreate the look, you could change the color scheme to suit your own style. Maybe even match it to your dress. Earlier in the post we featured a light ombre manicure. This one has the beautiful ombre, but it has some sparkling gems. The gems just give the ombre look an extra special finishing touch. You could recreate the ombre look with any colors to.